Patagonia started a crowsourced art campaign to bring an environmental focus to this year's election. The initiative is called, "Vote the Environment" and is run in partnership with The Canary Project and Creative Action Network. Basically, artists submit designs and all submissions that meet the guidelines go on sale on items from prints and stickers to buttons and shirts. The artist collects 40% of net sales, 30% supports the project and the final 30% supports voter registration through HeadCount. 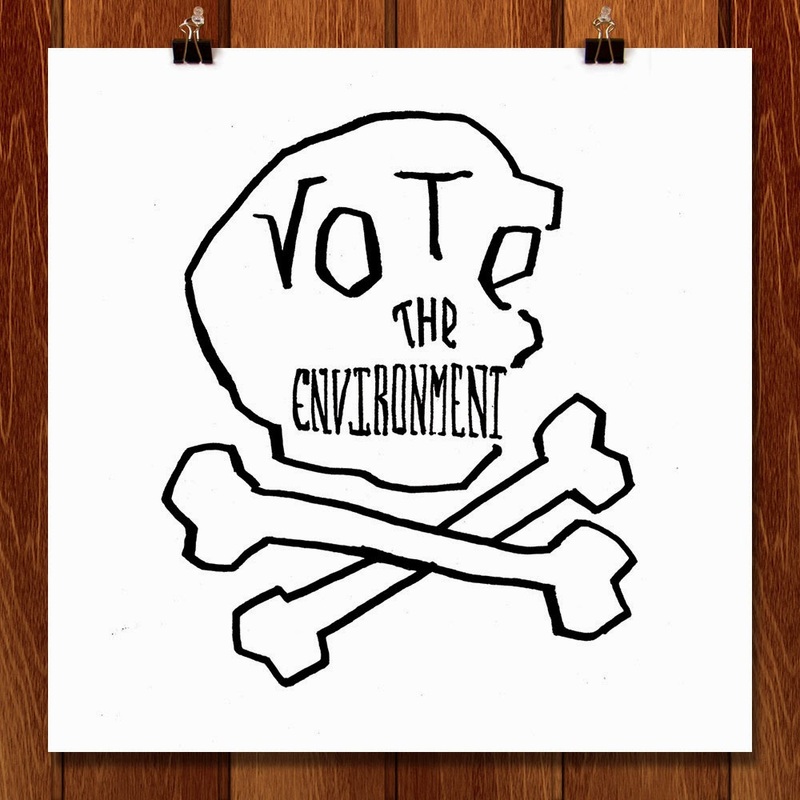 If you are an artist or know one, check out the details at Vote the Environment and get to arting, oh yeah, and voting. Natas Kaupas has a design up. What are you waiting for?